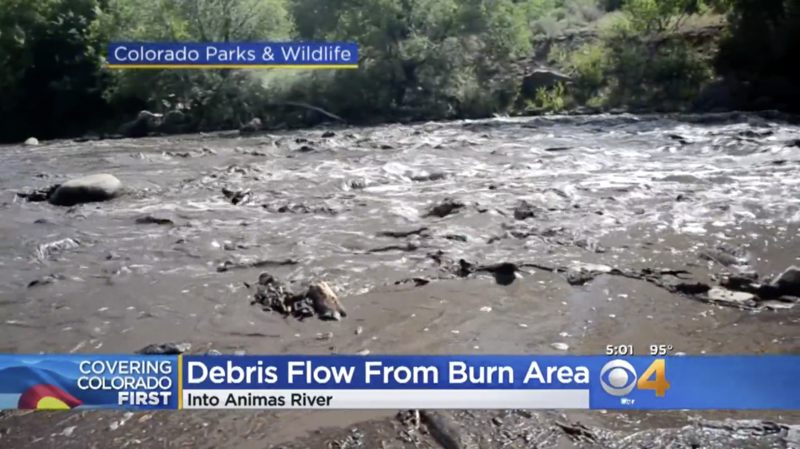 Screen shot of Animas River debris flow July 2018 aftermath of 416 Fire (CBS Denver). The mine spill temporarily closed down recreation in the river and forced farmers to shut off irrigation to their crops. But life in the river? It didn’t change much. The bugs and fish survived and showed no signs of short-term harm. The fish had been living with heavy mineralization of the water for decades. The Animas began the summer with record low water because of drought and a warm winter. That primed the nearby mountains for a big wildfire. The 416 Fire ended up burning about 55,000 acres around the drainage basin for Hermosa Creek, a tributary of the Animas. Now when it rains over the burn area, a thick sludge washes into the river. 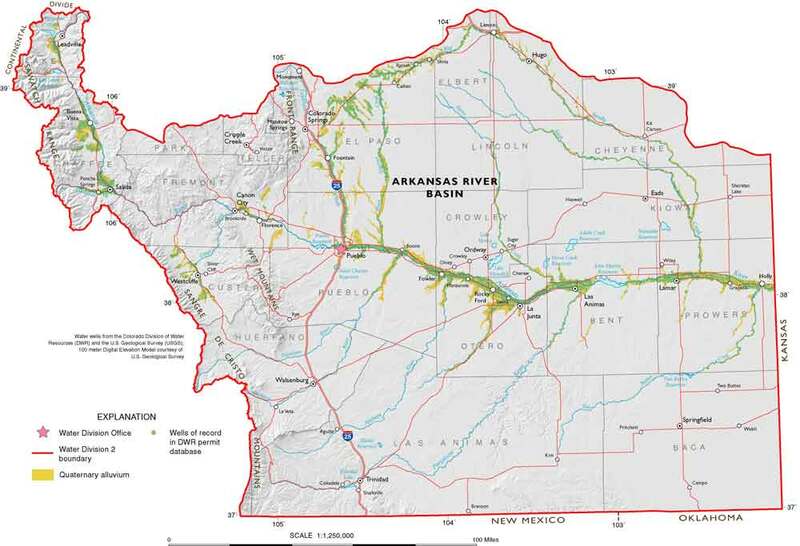 Horn says official surveys haven’t been conducted, but it’s likely the first few ash-laden runoff events killed 100 percent of the fish in a 30 mile stretch of the river. 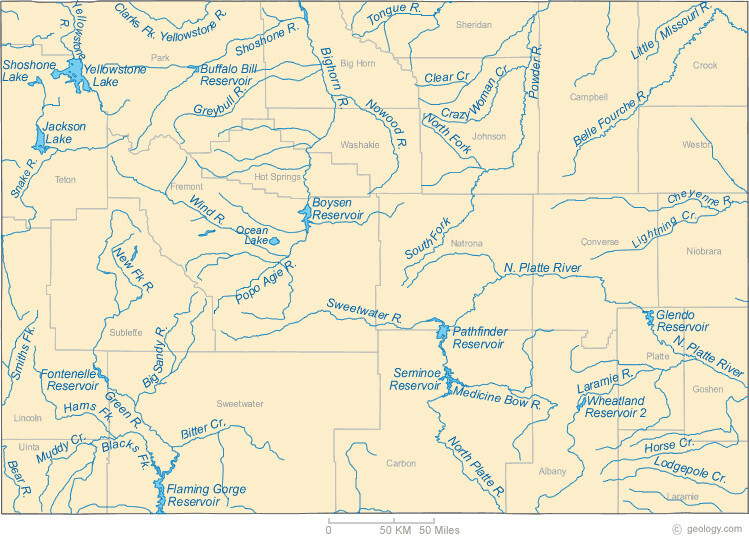 Many western rivers are stressed. They’re pressured by drought, pollution, overuse by cities and farmers and runoff from wildfires. The Animas acts as the perfect poster child. The river’s facing problems that show themselves, Roberts says, like a vibrant orange smear or a chocolate brown sludge. Or like earlier this summer when the river’s water all but disappeared within Durango’s city limits, recording its record lowest flow in 107 years of data. But there are many others that don’t draw intense public attention. Before the Gold King Mine spill, and even now, the river receives acidic water laden with heavy metals from the region’s numerous abandoned mines. Adding insult to injury, in July 2018 a truck carrying waste material from the mine site crashed into Cement Creek, another Animas tributary. “It’s being stressed by drought, being stressed by warmer temperatures. It’s being stressed by runoff from wildfires, being stressed by elevated metal concentrations, being stressed by bacteria, by nutrients,” he says. Roberts points to studies that showed samples of the river’s water with high levels of bacteria commonly found in humans, likely leached from underground septic tanks. But it could be another five to ten years before the Animas is back to its former self, according to water quality specialist Barb Horn. 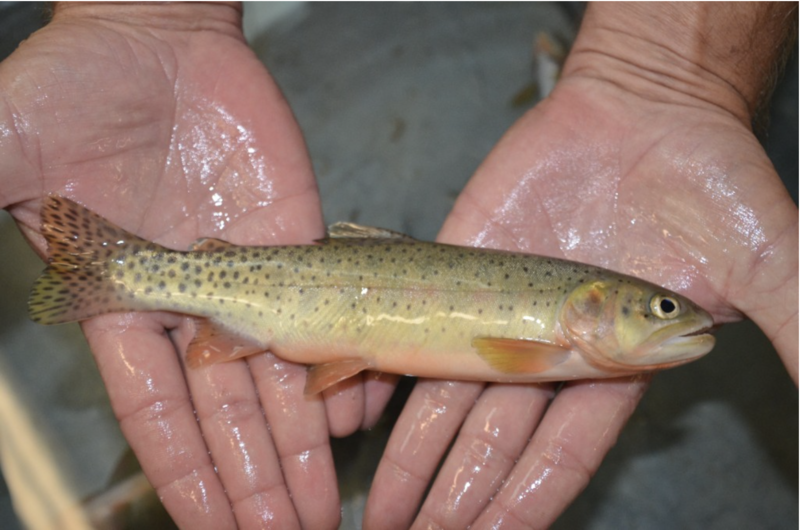 Colorado Parks and Wildlife has found cutthroat trout that are unique to the San Juan River Basin in southwest Colorado. The photo below is of a museum specimen found in the Smithsonian via Colorado Parks and Wildlife. Colorado Parks and Wildlife biologists have discovered a unique genetic lineage of the Colorado River cutthroat trout in southwest Colorado that was thought to be extinct. The agency will continue to evaluate the findings and collaborate with agency partners to protect and manage populations of this native trout. White and other biologists ‒ including Kevin Rogers, a CPW cutthroat researcher based in Steamboat Springs, and Mike Japhet, a retired Durango CPW aquatic biologist ‒ have been surveying remote creeks in southwest Colorado for more than 30 years looking for isolated populations of cutthroat trout. They found some populations in remote locations long before advanced genetic testing was available. The biologists understood that isolated populations might carry unique genetic traits and adaptations, so they made sure to preserve collected samples for genetic testing later. 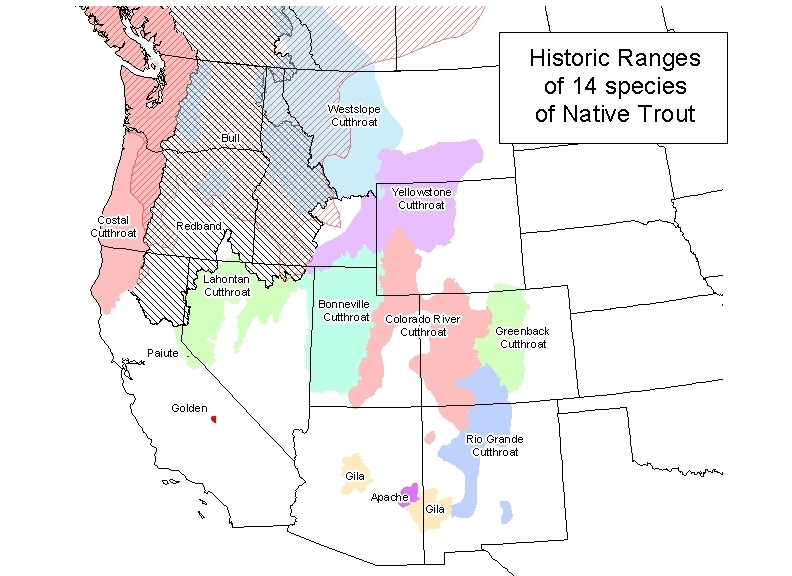 Significant advances in genetic testing technology over the last 10 years were instrumental in finding the distinct genetic markers that identify the San Juan lineage trout as being unique. If voters approve the proposed 0.25 percent countywide sales tax at the November general election, a portion of funds would be used to treat forest lands. The U.S. Forest Service currently treats about 1,200 acres per year. With additional funding, that number would grow to 4,000 acres annually, nearly triple the number of acres that could see mitigation. • Manage impacts of growth in outdoor recreation. Cindy Williams, co-lead with County Commissioner Greg Felt of Envision Chaffee County, the entity that is the impetus behind the proposal, said the goal would be to treat 2 percent of forested public lands, about 4,000 acres, in the county each year. Responsibility for maintaining public lands in the county rests with the Forest Service, Bureau of Land Managment and state of Colorado. But, Felt said, the agencies do not have the budget or the staff to properly maintain lands under their jurisdiction. An example of how funding would be used is the current project on Monarch Pass. In concert with the U.S. Forest Service, a number of entities have joined forces in an effort to remove beetle-killed dead standing trees to improve forest health, reduce the danger of wildfires and protect water supplies. Williams said various entities, including the Upper Arkansas Water Conservancy District, Monarch Mountain, Southeastern Colorado Water Conservancy District and Pueblo and Colorado Springs water utilities, are supporting the project. Monarch Pass is the headwaters of the South Arkansas River, which is a source of water for the city of Salida and dozens of irrigators. Mitigation work, she said, would protect towns, water supplies, water infrastructure, the recreation economy, wildlife and wildlife habitat. Felt said Chaffee County has contributed $48,000 from the Conservation Trust Fund to the program. The idea behind this element of the sales tax, he said, “is to leverage interests of other water-related organizations” who have an interest in water quality and the resource. If the county puts $500,000 from the proposed conservation tax toward forest mitigation work, Felt said the goal would be to generate an additional $5 million from other sources. “The goal,” Felt said, “is not to spend a million dollars a year on conservation, but to leverage that into $5 million” to benefit the county. Williams said the net result of the tax would be to bring additional dollars through grants and participating partners into the county to be used to benefit county resources. Williams said representatives of agencies and foundations she has talked to about the county conservation project have said they typically do not see communities coming together like this, including governments, businesses and citizens. The Gates Family Foundation, she said, is monitoring the county as a possible development model with new tools for other Western states. Felt said Envision has “blown out of the water” representatives of foundations and government agencies who have become aware of the project and now want to play a part in the program as it evolves.</blockquote.